Can a Buddhist monk dead for almost a century still be alive? The Buddhist monk, Dashi-Dorzho Itigilov, officially died 90 years ago in Buryatia, a region in Siberia. According to his last will and testament, the monk entered Nirvana but asked to be exhumed 30 years later. Strange things have been happening lately with the Buddhist holy man’s body, and it’s not clear whether he’s truly dead or in a state of deep slumber. Lama Dashi-Dorzho Itigilov assumed the lotus pose 90 years ago, gathered his pupils, asked them to pray for him and sank into a deep meditative state. He finally entered Nirvana. “Visit me and look at my body in 30 years, and in 75 years take me out of the Earth,” Itigilov said before passing. Sitting in this position the holy man was placed into a cedar cube and covered with salt, as instructed in his will. The last time Itigilov’s body was examined was in 2005. Since then, the monks have not allowed any examinations and photographs. Strangely enough, for almost a century his body has been both gaining and losing weight, exuding moisture and not decaying. Born in 1852 in Ulza Dobo on the territory of modern-day Buryatia (a region of the Russian Federation that is located 4,400 km east of Moscow), Itigilov lost his parents at a young age and almost nothing is known about them. With time this fact engendered legends among the monks about his divine origins, for example, that he came to Earth as a five-year-old boy, as a divine entity - the Bodhisattva, or Buddha. At that time the Buryat people didn’t use coffins and usually didn’t bury their dead, but instead they laid them on platforms between trees or hills. One day, the young Itigilov approached some people, one of whom had a staff and a skull on it. “The boy will become a great Master and will cheat death,” said the lama. Monastic legends say many things about Itigilov that seem unbelievable. For example, water parted in front of him. The only thing we know for sure is that when Itigilov was 15 years old he came to a Buddhist monastery, 300 km from his native village, where for 23 years he studied religious texts. 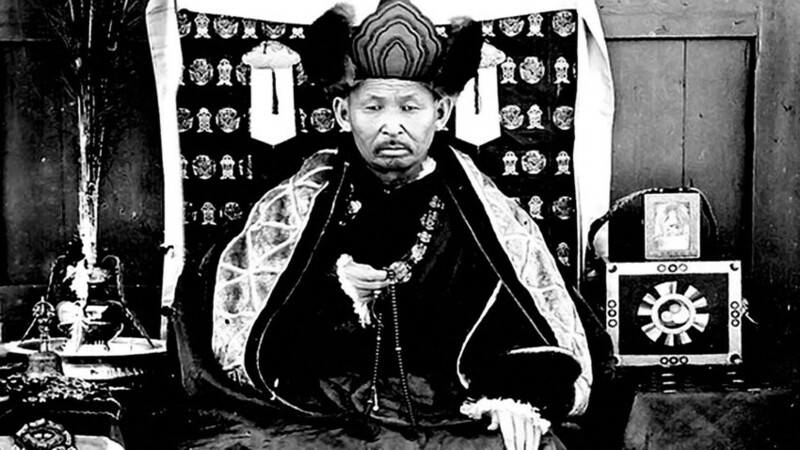 There, he taught his pupils, became head of the monastery, had a personal audience with Tsar Nicholas II, and shortly before World War I he became leader of the Eastern Siberian Buddhists. With the rise of the atheistic Soviet state Itigilov recommended his fellow lamas to leave the country, foreseeing repression. But he didn’t leave the country, affirming that they would not apprehend him in time. According to documents, he died in 1927 at the age of 75. His body, however, was exhumed 28 years later, and not 30 years as originally stipulated. At that time, a strong hurricane hit Buryatia and the fearful locals wanted to pray to him for help, so they opened the box. His joints appeared to be flexible, the skin had maintained its elasticity and the area around his heart was warm. People changed his clothes and he was reburied. The procedure was repeated in 1973. 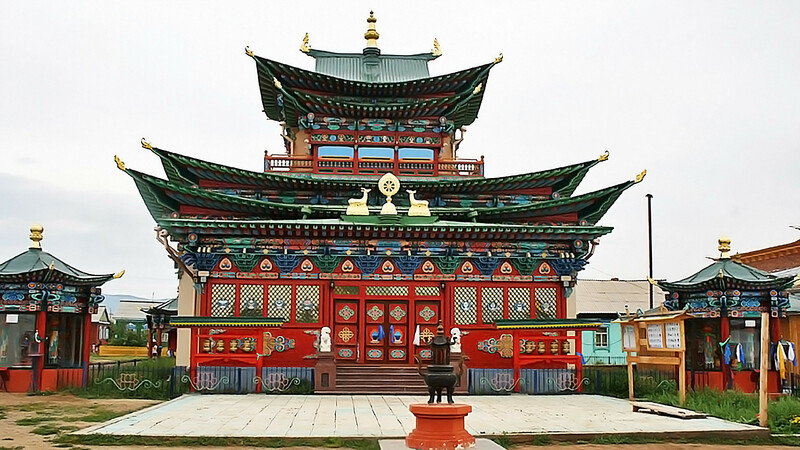 In 2002, as indicated in the last will and testament, the box with Itigilov was exhumed and moved to the Ivolginsky datsan (monastery) near Ulan-Ude. The lid was not removed that night, and the monks only prayed and lit candles. In the morning a forensic medical examiner opened the box and found salt up to his shoulders, and Itigilov’s head was in such great condition that one might suspect the monk was still alive, witnesses said. “At first, everyone thought this was some kind of Buryat Buddhist joke, but now they don’t. His internal organs are fine, as are his eyes. An expert came recently and said his body is like that of a person who died several hours ago,” said Yanzhima Vasilieva, director of the Institute of Pandito Hambo Lama Itigilov. While researchers didn’t have the chance to hold a stethoscope to Itigilov’s chest, the monks agreed to send two grams of samples to be examined that included hair, skin particles, and sections of two nails. “Infrared spectrophotometry showed that the protein samples have living characteristics, and when we exhumed the body there was no smell as from a rotting corpse and there still is none,” concluded Victor Zvyagin, a former director of identification at the Russian Forensic Medical Examination Center. This does not mean, however, that the lama is alive. Skin analysis showed that bromine in his body is 40 times higher than usual and the body temperature is 20 degrees lower, which are certain signs of death. Not surprisingly, the monks (with the exception of the Dalai Lama, who prefers not to comment) make claims to the contrary, just like the thousands of pilgrims who come to see Itigilov’s body. In addition, since the sarcophagus has been exhumed his body has been gaining about two kilograms annually. In the past six years, overall body weight has increased by about 10 kilos, and excess moisture sometimes appears on the body and which resembles sweat. Scientists believe they have found a non-supernatural explanation. Legumes have high levels of bromine that can suppres the body’s sensitivity, and limit the impact of stimulating external impulses almost without influencing those parts of the brain that control respiration and blood circulation. There’s a theory that when Itigilov was living he deliberately ate many legumes, and then with the help of self-hypnosis turned off his body’s vital metabolic functions. In other words, he immersed himself into deep meditation and entered a state of anabiosis, after which he died. The salt or dried tissue can absorb water vapor and influence the weight of the body when it’s exposed to the air.